Dress to hen party up and show everyone that you are a group of girls on a hen party having fun. This hot pink sash has black hen party text and flirtatious lip prints designed to add excitement to your night out. This sash proves you can all look great on a budget. 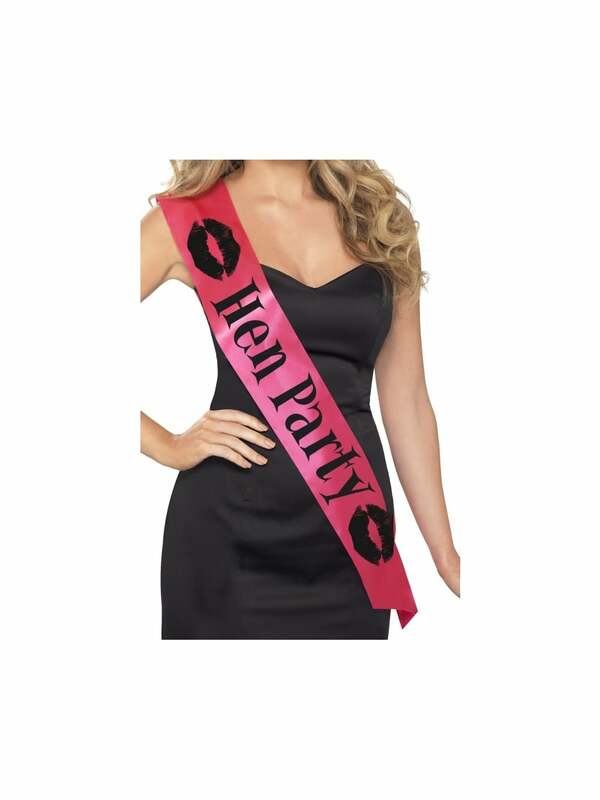 Showing our 3 Hot Pink Hen Party Sash with Black Writing and Lips Print reviews with an average rating of Excellent. Would you like to write a review? Colours are true to pics, sashes are good quality and liked that they come individually wrapped so nice item to include in favour bags! Review - Fun sash.Good quality.